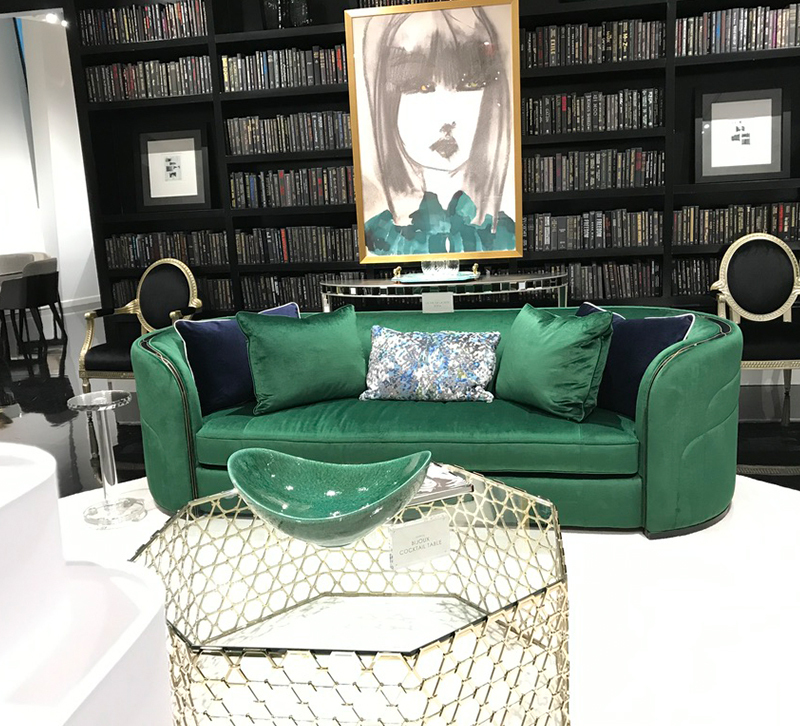 High Point Market is underway! Here are 6 trends, fun things we've seen so far! High Point Market officially starts today but we've been around campus since Thursday, and despite yesterday's rain, High Point Market has been bright and energetic. We think it might be all of the color. 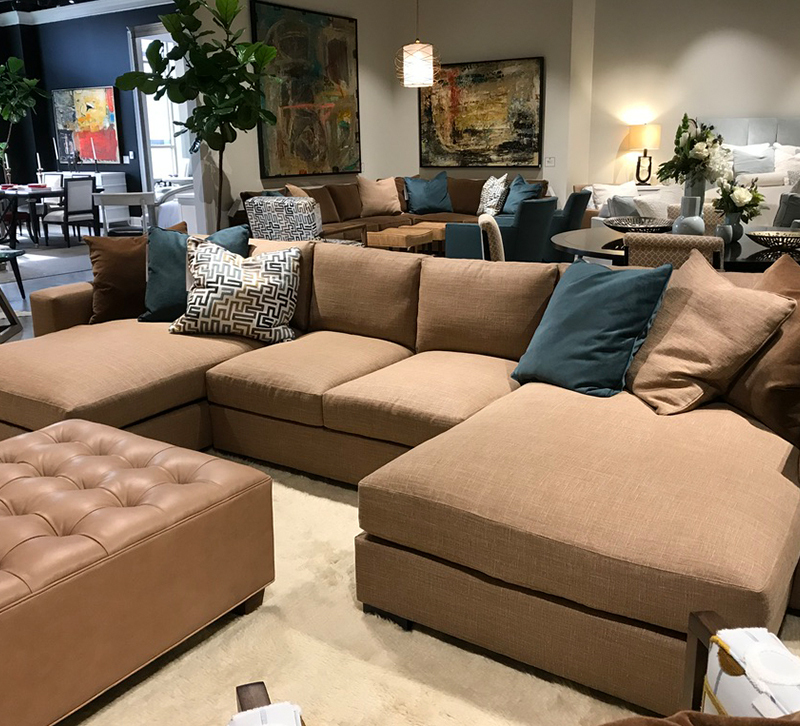 Here are 6 things you'll notice as you go in and out of showrooms around High Point. 1. We're seeing color, color everywhere! Bold blues, pastels such as lavender and pink, bright greens, mustards and deep reds. 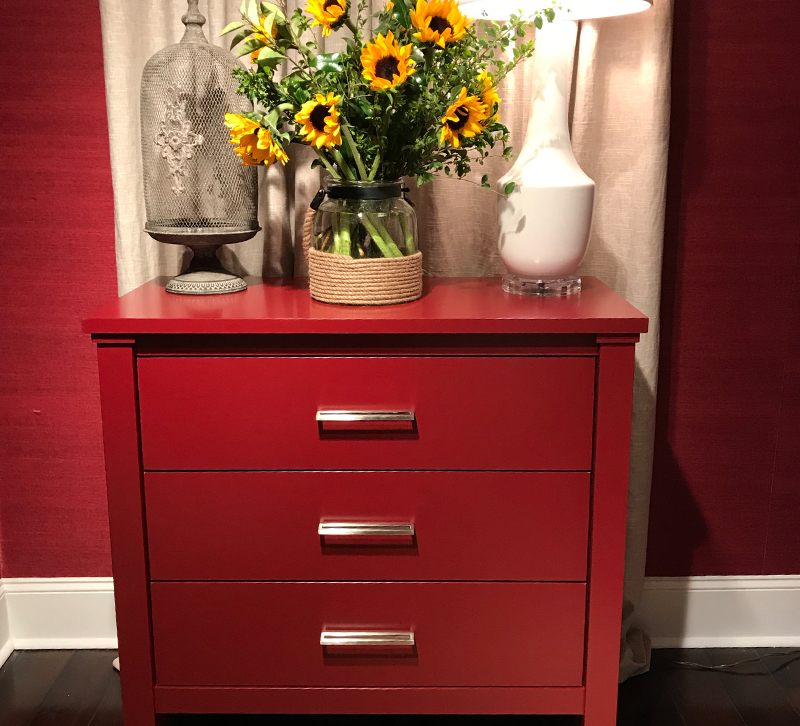 This painted hardwood chest from Durham Furniture has soft close drawers. 2. If Forest Green is one of your favorite colors, this is your market! 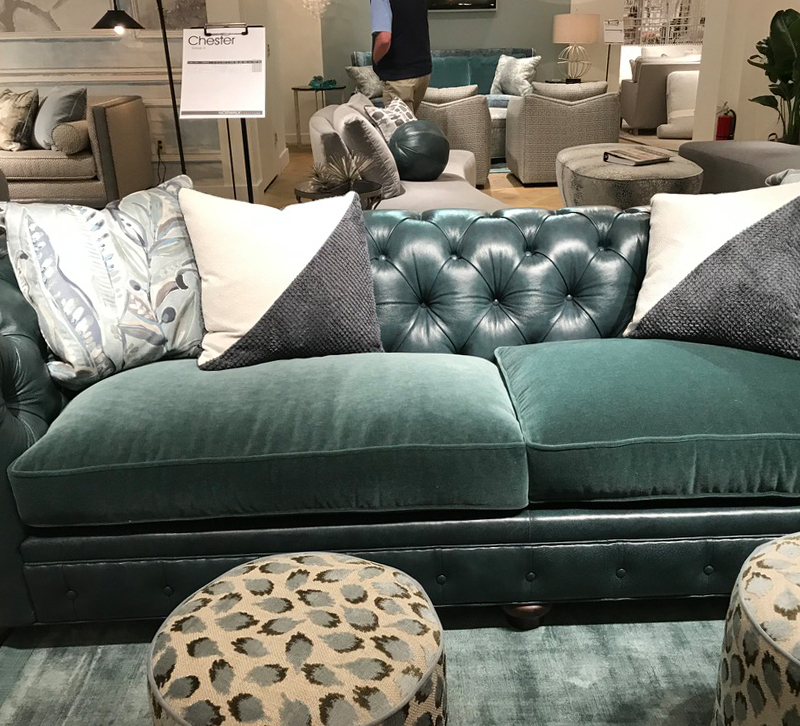 It seems to be the color to watch, particularly on upholstered pieces. 3. As neutrals go, medium brown tones are back (think caramel, taupe, mocha), alone or paired with gray tones. 4. 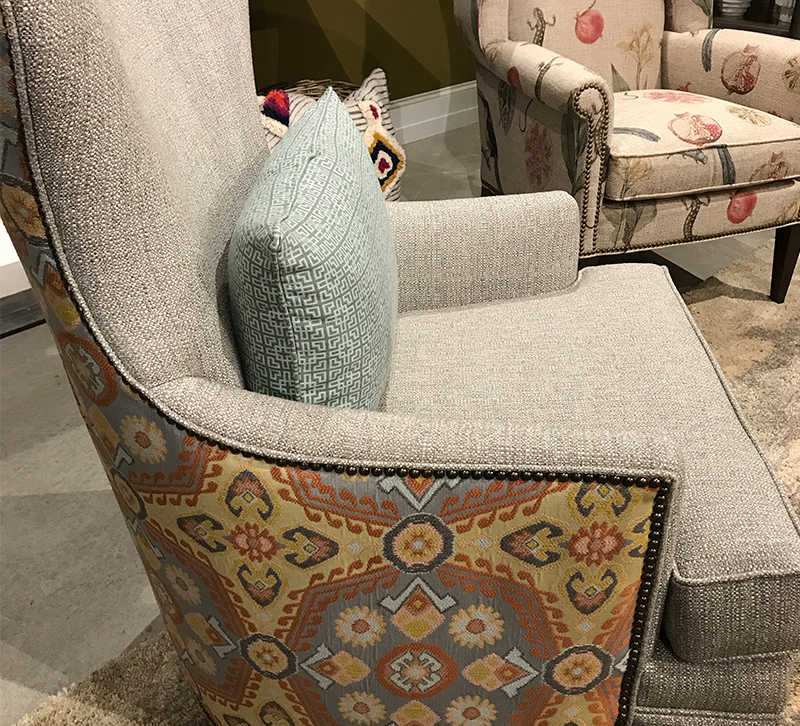 This market, chair backs are as stunning as the fronts, with coordinated fabric treatments, leather wraps and exposed framing. 5. Prepare for glam this market. 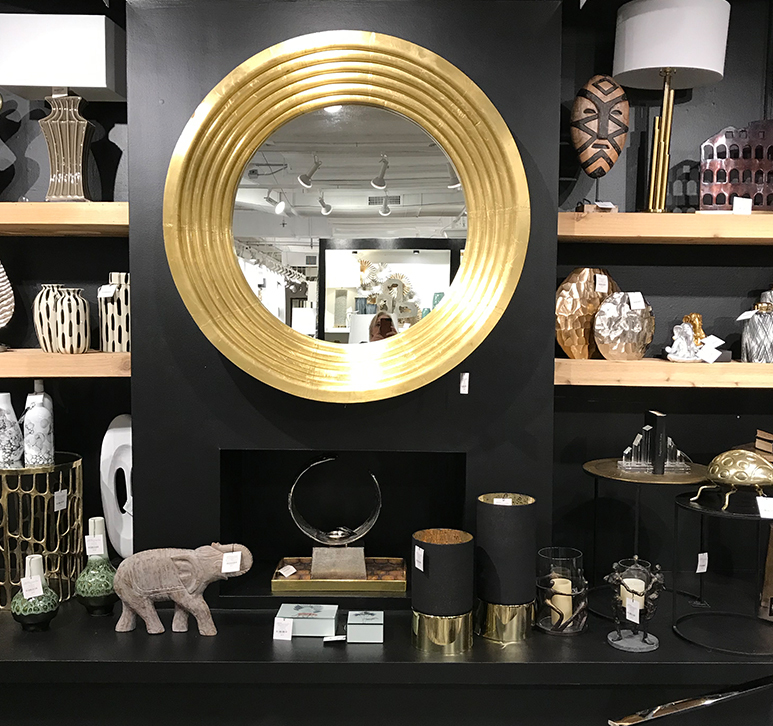 We're seeing warm golds everywhere on accessories, lighting and furniture, paired with acrylic, crystal, upholstery and more.